Dionisi / O’Rourke is a Limited Liability Partnership organized under the laws of the Commonwealth of Massachusetts, engaged in the general practice of law at 365 Boston Post Road (Mill Village), Sudbury, Massachusetts, with a specialty in all matters of real estate law practice, including residential, commercial, individual and lender representation, zoning appeals, subdivision and wetland filings, and matters associated with municipal permitting. Further practice includes civil and criminal litigation, estate planning, probate and family matters, and eminent domain litigation. Our firm routinely engages in employment law, juvenile matters, real estate law permitting and subdivision work, appeals court work, including appellate tax board. Both partners are members of the American Bar Association, the Massachusetts Bar Association and the real estate and litigation sections of the M.B.A. 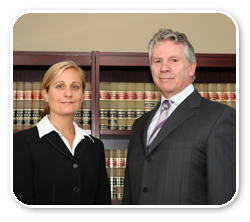 Both partners are also members of the Real Estate Bar Association.